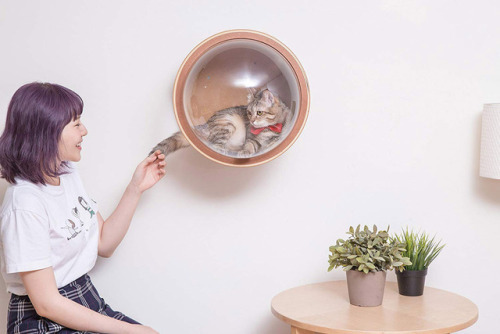 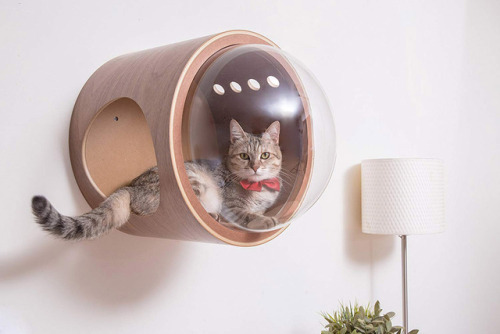 Make your house cat-friendly with Spaceship Gamma, a cute wall-mounted capsule where your feline friend can snooze and relax in style while observing the goings on at home from above. 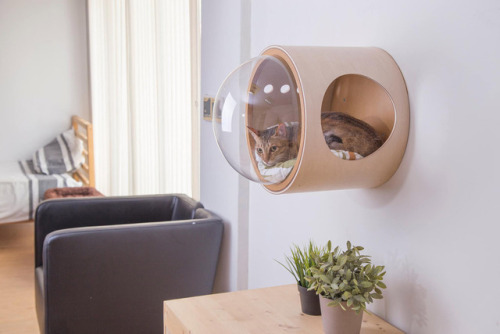 Created by MYZOO, this ingenious piece of cat furniture provides a wider field of view thanks to its large acrylic concave window and comes with four air holes for proper ventilation. 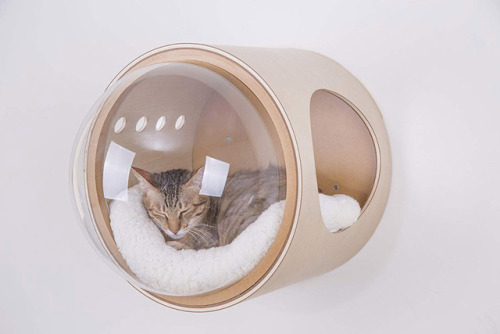 Functionality aside, its sleek minimalist aesthetic and elegant walnut finish make sure it blends in seamlessly with your home décor.